My son-in-law did an excellent job in carrying off the nearly impossible. 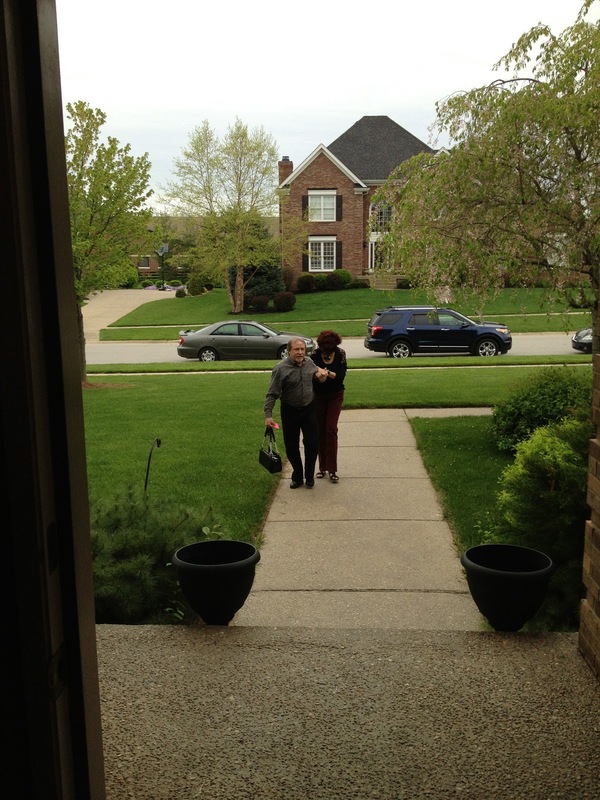 My daughter knew that he was taking her to dinner but she didn't know where or what was involved. He carted her off to a matinee movie to kill time. He told her he had dinner reservations for 7:30pm. The caterer is also Terri's accountant. Rather than have the party at a club house she asked if she could host it in her home since Mark wanted to keep it small and intimate. So, a few friends and I helped Mark and Lisa by picking up the usual balloons, tiara, gag gifts, etc. Mark told Terri she had to be blindfolded because he wanted it to be a full surprise where they were going. She fussed a little about messing up her newly done hair, but she was a good sport. It was funny watching Mark lead her up the walkway. 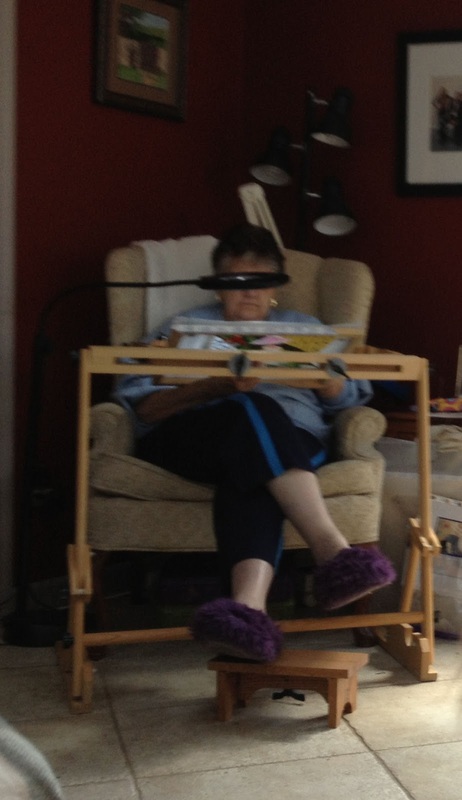 Once blindfold was removed, we all yelled Surprise and she, of course, teared up! Way to go Mark! The evening was full of good conversation with old friends and meeting some new. The accommodations were above and beyond and the host and hostess could not have done any more - they gave 100%. Thank you Lisa and Dan. The food was to die for. Now that's how you cater a birthday party! I'm pretty sure I won't be around for her next 50th! Grateful that I got to enjoy this one. 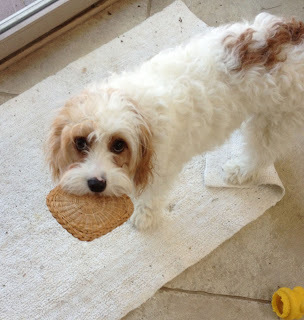 Gotta go get ready for Wednesday Whimsie! Have a great day and remember to Stitch with a Smile. Good morning. Half century later . . .
Fifty years ago today I gave birth to our beautiful daughter, Teresa Marie. How can that be? It almost seems like someone else's dream. Fifty years! As a child growing up in the 'hollers' of West Virginia, I didn't know many people over fifty. Fifty was ancient! But now, on this end, it was just a blink of the eye. 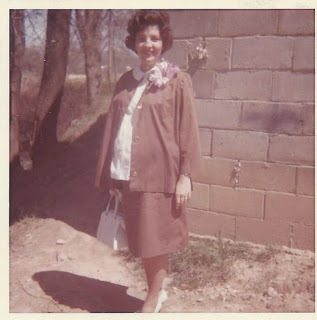 Where did those fifty years go? I'm not good at remembering things as far as particular dates, etc., other than my immediate family's birthdays and my wedding day. So, what happened then is a fog. We were too busy surviving to get sentimental and save things like first tooth, etc. I wish it could have been different but it is what it is. Here I am on Easter Sunday, April 14, 1963, less than two weeks away from the big event. I am proudly wearing my homemade maternity outfit. We did not wear tight fitting clothes during those days. In fact, we were staying pretty close to home. Back then, most men were 'goin have a boy' and didn't discuss anything else - no names, etc. My doctor told me that when he told Bill that he had a beautiful little girl he said that Bill said, "Awww, that's just what I wanted." Funny how those babies can melt your hearts. 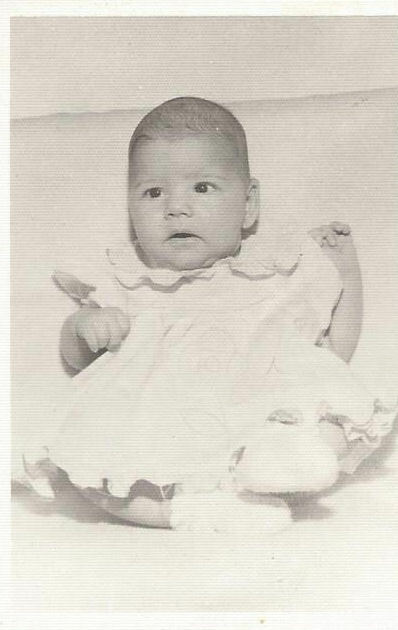 This is Terri's first official baby picture. Our local stores (similar to WalMart) use to run a special for dirt cheap and we were able to take advantage and get an 'official' pic. Of course, as you can see, she suffered from lack of food. Ha.Ha..
Terri always excelled in school and was a very good child. When her baby brother came along she became his second mother and he was 'her' baby. I won't say that we didn't have our moments once those rebellious years came along, but we got through them. It is kinda difficult when you have two hard-headed women in the same household and one thinks she's the boss and the other thinks her mom is out of sync with the world (and I may have been). After a few years of college, Terri went to work and picked up her college expenses through her student loans, etc. She studied for the LSAT and went on to law school at the University of Kentucky School of Law. She served her time clerking, etc., and eventually managed to open her own law firm in Louisville. Rather than go the big corporate law office type practice, she chose to represent abused and neglected children. Her rewards are not financial, needless to say. To that love, she has added probate work and seems content with her practice. Here's Terri the attorney. 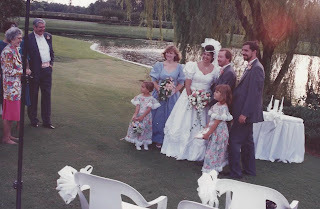 She met and married a wonderful young man, Mark Kinberger. They have celebrated over 20 years together. I think their main hobby is collecting rescue cats and dogs - but that's another story. 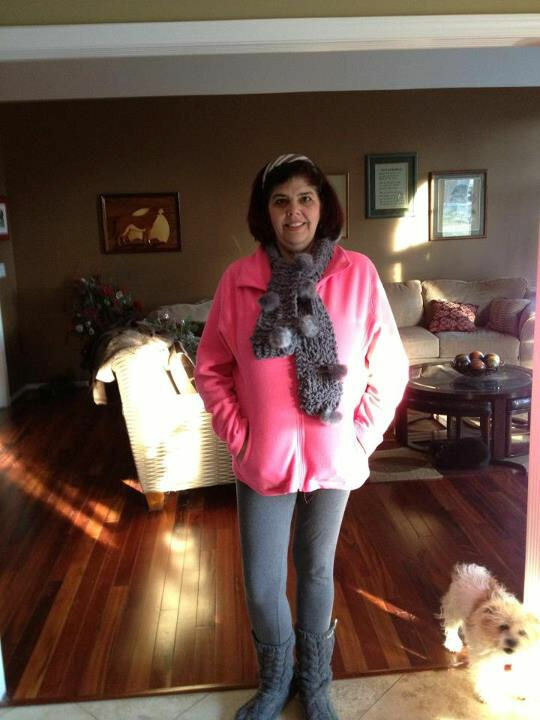 Two years ago Terri had a devastating encounter with Guillain-Barré syndrome. We almost lost her. She had to relearn how to walk and work continually to rebuild her strength and muscles. She fought a very courageous battle and she is winning! 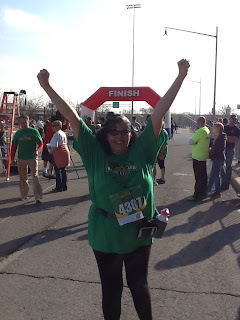 After a little over a year of hard work, she even managed to do a 6K run when it was fearful she might not walk again. Today, our daughter is struggling with the fact that she can't figure out where her husband is taking her for her special birthday dinner. If I knew, I probably wouldn't tell her - no, I know I wouldn't tell her. Mark will make it a special day I'm sure. My daughter doesn't read blogs so she won't see this but I wanted to honor her anyway and let you all know that I am lucky to have very special people in my life and she is a special one indeed. 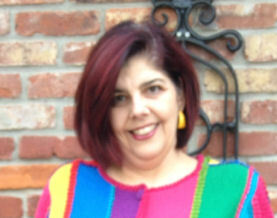 Not only is Terri my daughter, she is my business partner (Duo Designs, Inc.) and my best friend. Terri have a wonderful day! We are very proud of you! Yep, it is Wednesday again. As stated earlier, had a busy, busy weekend. However, lucky you the whole year of stitches has long been finished and I just need to remember to update, polish and post. 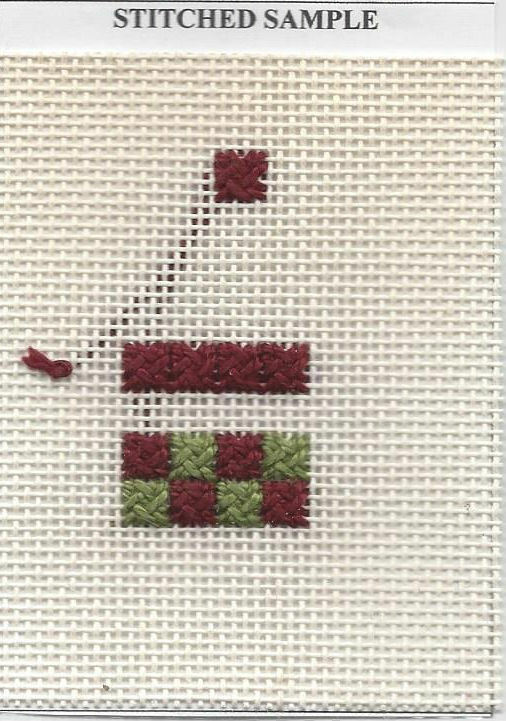 This week's stitch is the Burden Stitch. The stitch is fairly straight forward. It requires a foundation set up of long stitches, either vertical or horizontal, a certain number of canvas threads apart - our sample is 2 canvas threads apart. These foundation stitches can be of a different color, different texture and are wonderful in something like a metallic. 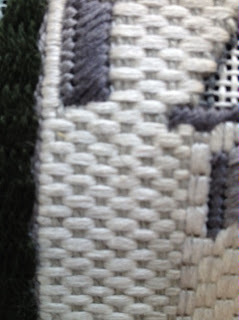 Next, the main stitch that couches down the foundation threads is a Gobelin stitch. Depending on whether your foundation threads are vertical or horizontal, the Gobelin stitch moves in the opposite direction. 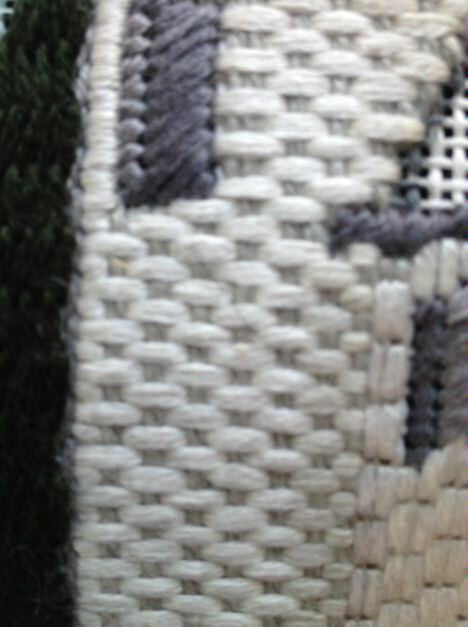 Our example shows our foundation threads being vertical therefore the Gobelin stitches will couch horizontally over them. Just an aside, look at how the light hits the vertical threads differently than the horizontal threads, so much so, that it looks as if a different thread was used. But no, it is all size 5 pearl cotton. This stitch is diagrammed with the foundation threads vertically because I used this stitch on one of my designs of the lighthouse at Bass Harbour, Maine, that we were fortunate enough to visit. I loved it! 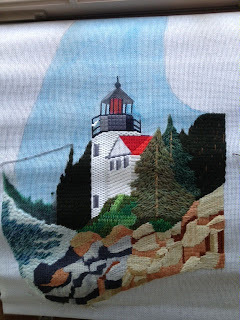 For some reason it seems that the stitch helped my lighthouse look round. Perfect. I think you can see on this piece that I used a medium gray foundation thread under the white couching thread to give more depth to my building. The stitch fills an area fairly quickly. And as stated, it can consist of several different size stitch width/length scenarios. Play and see what you discover when stitching. The posts will be made to the Yahoo Group later this afternoon. Be sure to check it out. Isn't it wonderful to be able to get together with friends and just stitch? My daughter (whom I consider my closest friend now that she is no longer my responsibility - lol), and a couple more buddies landed at our house this weekend for a marathon stitching get together. We had great fun! We all did our share of stitch in and rip out (well, most of us did anyway). My daughter is really moving along on a wonderful Lee canvas that she loves to do. She started the gray background and then decided to rip that out and do another one. We all liked number two better. I thought I took a picture but obviously I did not. It is in my background book but that is No. 5 or 6, I can't remember which. I am stitching away trying to get a Leigh Designs model ready for them for the Dallas market but alas, I fear that will not happen. I am also teaching the piece at TNNA Columbus Market. Check out those shoes! 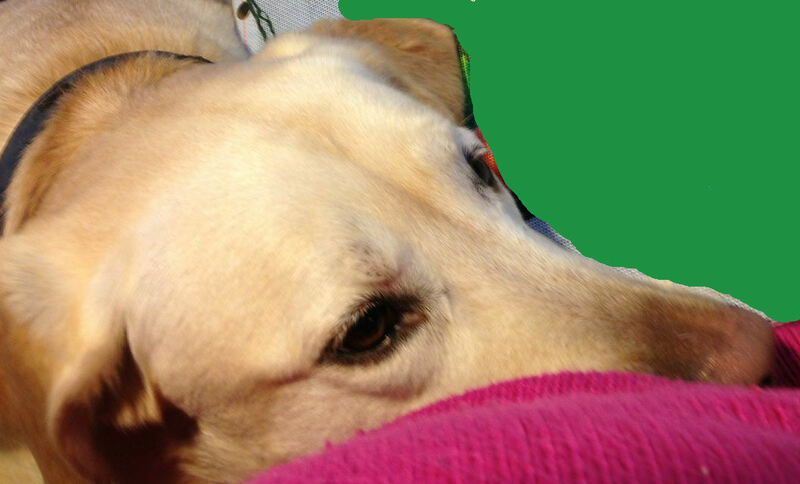 I was dog sitting my grand dog - Bella - a golden lab. She had plenty of visitors too! 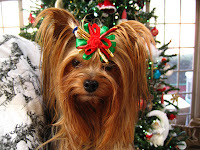 My yorkie grand dog - Mindy - wasn't too sociable this weekend. But some other friends and she managed to entertain themselves quite well. Puff, the cat and the old man of the house, wanted nothing to do with them so he spent the weekend up in the attic. He has his own suite up there with food, water, litter box, and peace and quiet. My husband managed to busy himself outside on the tractor, or in front of the tv with his golf, baseball, NASCAR or whatever else suited his fancy. He did, however, cook his chili for us to eat on Friday night. The girls seem to love it and he is willing - - sooo. He will not do any more with a needlepoint needle than pick it up off the floor for me, however. 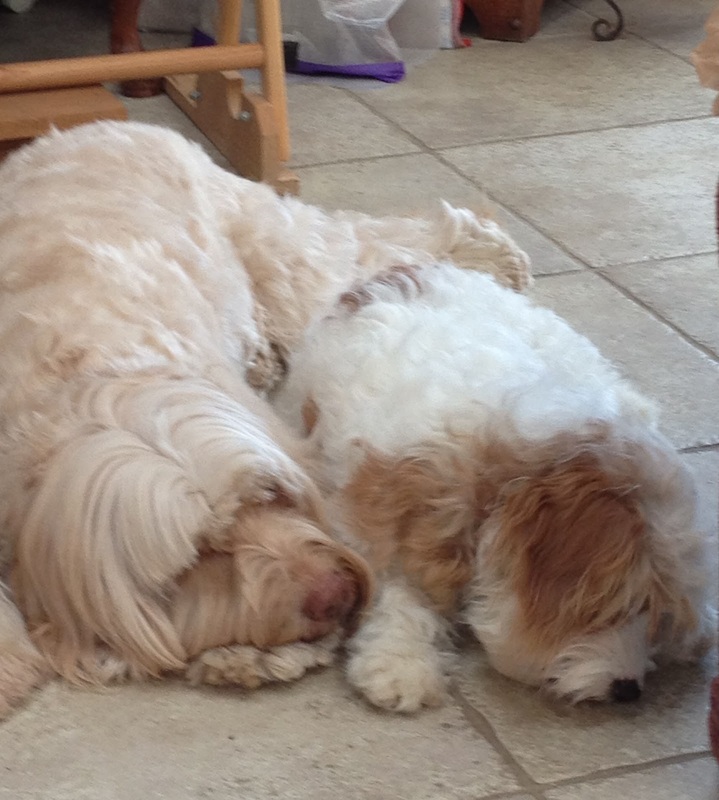 Okay, I think the girls sum it up after a full, productive day of stitching, this is what we all wanted to do. Well, I'm in the homestretch on the Leigh canvas so I better get back to it! Wednesday is just around the corner! This was a very busy and productive weekend for me this weekend and I thought I'd share an exchange between my daughter and partner, Teresa, with you. After working on some new designs for Duo Designs, Terri and I did some brainstorming on a personal piece she is currently stitching. Terri loves ladies in hats, and masks, and snowmen, and, and, and, - like all of us. She does, however, always manage to find something she wants to change. This lovely Lee canvas that she is working on has a beauty smelling a rose. Well, Terri decided that her lady should be smelling a rosebud instead of a rose. So off we went. First I drew a rosebud and kept cutting it down to the size we thought would fit. Once Terri approved I roughly painted in the new bud for her to stitch. I can't wait to see it once she gets it stitched. Speaking of which - off I go to stitch. Have a great day and Stitch with a Smile! Beautiful, but rainy, morning here in Central KY.
Did you realize that your Stitch Sampler Notebook is not limited to what I send you each Wednesday? I provided an extra sheet in the Files section for you to be able to print out and use for times when you want to add something. Every time you come across a new stitch, be it on the internet, stitch guide, class, stitch-in, etc., stitch a sample and keep it in your Notebook. Try to carry a few extra canvas blocks in your stitching bag (and don't tell me you do not have a hundred stitching bags!). This is a tool for you to use. I am in my Notebook almost every day. Maybe you see someone execute a stitch for hair and you saw it entirely differently maybe as a shrub. 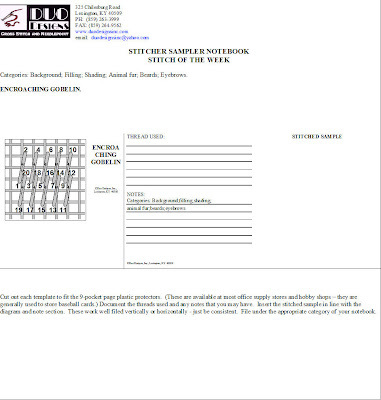 Make a note, stitch a sample and place in the major category of your choice. No category comes to mind? 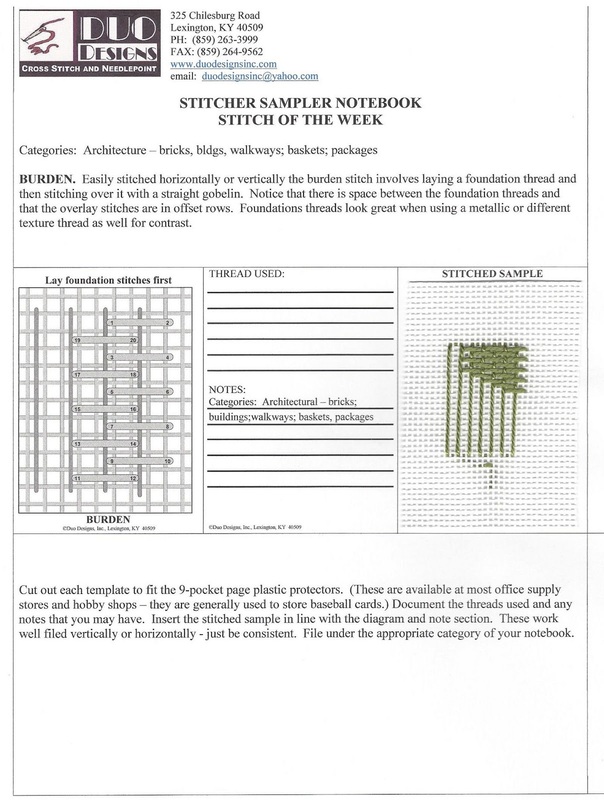 The Stitch Sampler Notebook police are not going to come carry you away! Don't lose the opportunity to document a stitch that you find interesting. I keep a page in the front of my notebook for odds and ends until I decide on exactly where I want to place it and the categories I feel it might fit. Remember I told you the other day that I just added two new categories to my Notebook? Be mindful of the thread used and the canvas count as well. We think we are going to remember but take my word for it, someday we lose that ability for that precious recall we all take for granite. Now, I may eventually add the stitch you just picked up and it might be diagrammed differently and it may have different suggested uses. Guess what? That is wonderful. You have just expanded that stitch's possibilities even more. If you have a Nobuko, for instance and I provide you with a different stitch diagram for Nobuko (which I will later), call it Nobuko II or Nobuko Variation. Just keep it! You are going to find that a stitch can be called many, many names. We designers are constantly trying to identify a common name for a stitch. Sometimes it has so many names it is difficult to determine which is the proper one. If I am so inclined, I head for my library shelf and pull down the oldsters such a The Encyclopedia of Needlework, 1884, by Therese de Dillmont. But, unless I am writing a stitch guide the name by which the stitch is called is not critical to me. I'm just filling a space with something I like. Well, this post is kinda boring and void of color isn't it. 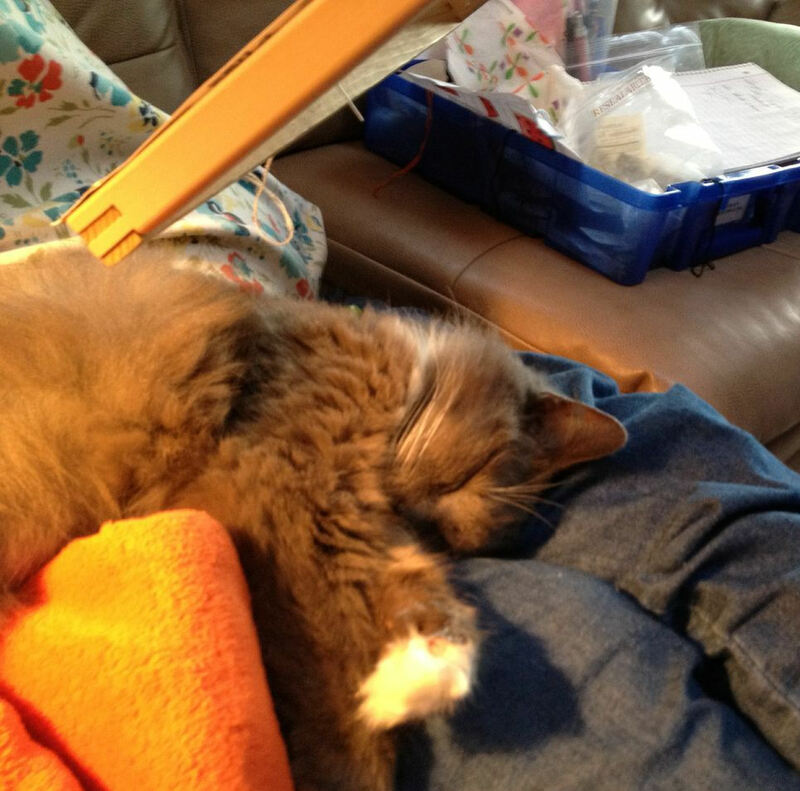 Okay, I'll share a picture of Puff as he assists me with my stitching. As you can see, he is miserable (? right!). Notice all the space he allows me to have between him and my work! 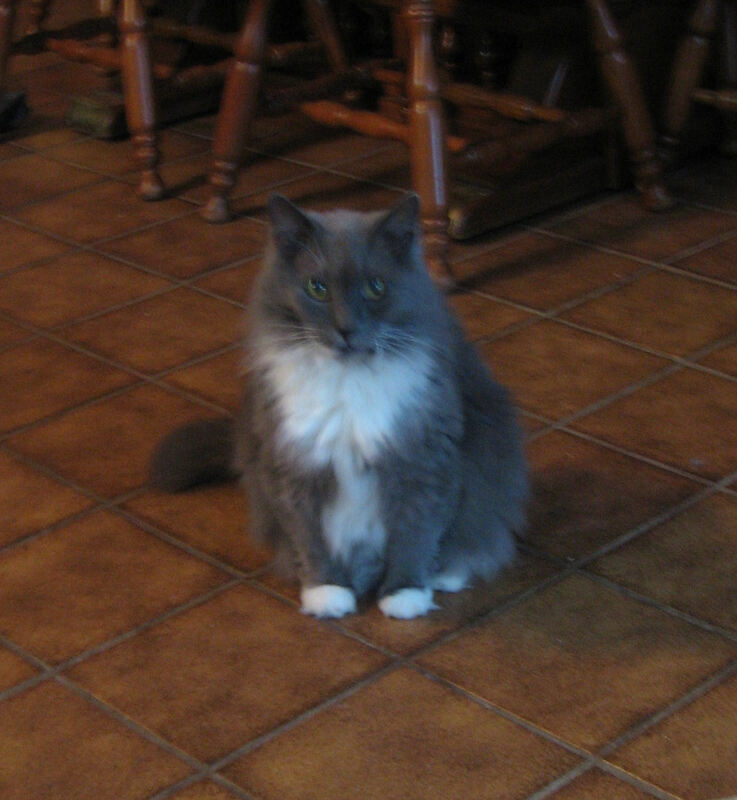 Puff will be 23 this summer and he is starting to show his age. 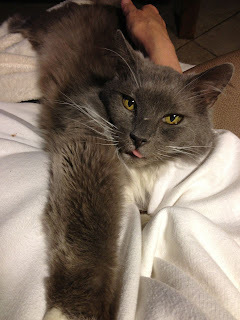 He has been with us since he was nursing. His momma brought him to us when she decided that she wanted to live here and she would let us share their house. We lost his momma this past Thanksgiving. She was barely a kitty when she brought him to us. I guess someone dropped her off but it was their loss. 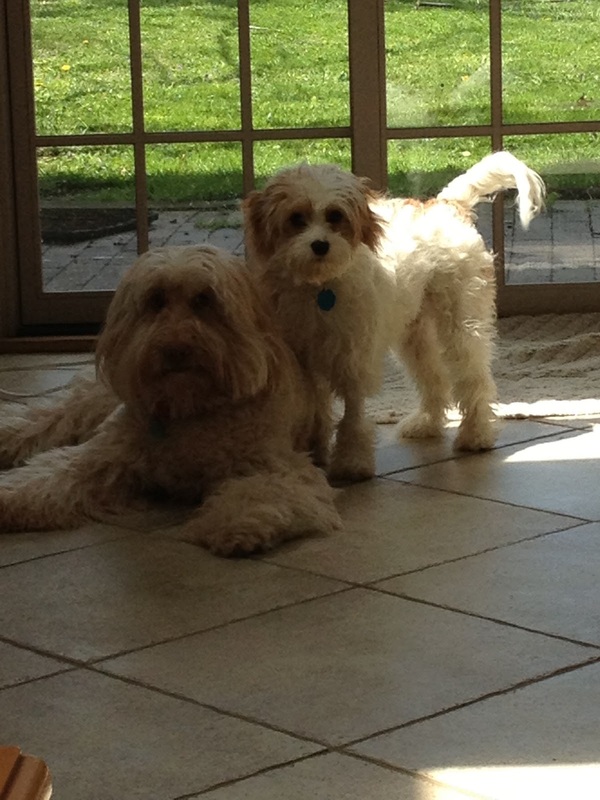 Now, the ironic thing is that I am a dog person through and through. My husband and kids, however, are cat lovers. But, I would not deliberately be mean to an animal and can't stand for them to be hungry cold (well, since snakes are reptiles I think I can still make that statement as I hate snakes!). Even though I was raised on a farm, heck, I'd brought the cow in the house if Daddy would have let me. Okay, I'm off to work - the animals don't stir this early so I can get a little done. Boy, where was my mind yesterday? I had quite a few typos there. I just get so excited and in a hurry that my mind and my fingers don't match! I apologize but it will happen again I am sure. If you have stitched your sample, please post a picture in the Yahoo Group for all to see. I had a question yesterday that I thought was a great one. How do you decide which category to file your stitch under (okay that's a preposition but that's the way I talk. I don't say 'under which to file. . .')? Well, for me, with my spreadsheet that I shared with you a couple weeks back, it really isn't a problem. 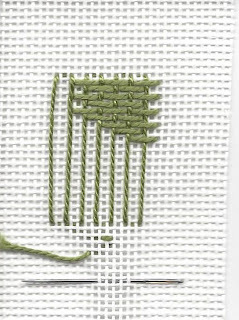 I can look at a category and pull a stitch no matter which category I decided was the one to file that particular stitch under.I try to think of which category I would most likely use is -for instance a leaf stitch would definitely go under something like shrubs, but it also is a good background, border, clothing, etc.. So even though I have hundreds of stitches under background, I can look at the stitch name, if I want, and see where else I thought I might use it. 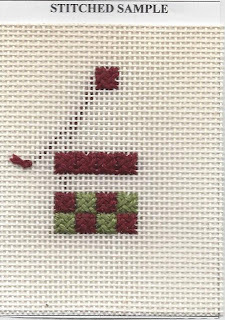 Or if I am working on a basket I might find the perfect stitch that has a small 'x' but the Bold 'X' is in backgrounds (meaning that is where the actual sample is filed). Also remember that this spreadsheet list is not stagnant. We want it to be dynamic. As you use stitches - let's say you use a double brick stitch as a hairdo in some stitch guide you are following - you might want to consider going to your spreadsheet and marking an x under hair for that stitch and making a note of it on the area provided on the sheet I gave you. The great thing about a spreadsheet is that you can always sort the spreadsheet alphabetically by stitch name as a new stitch is added. I also liked this question because it made me think of something else. We all learn from each other. When you find that you have used a particular stitch for a certain situation please share it with the members of the Yahoo Group. Same thing for threads used with a particular stitch. The list of suggestions I provided can't begin to cover possibilities. I added two new categories to my Notebook this week - Woven and Darning. I had some of these stitches just in sheets in the front of the book but finally decided on a home for them. Another thing to keep in mind - these are just samples to get you comfortable with the technique and the common name. Notice I said common name because we all know that it is hard to tell what we designers might end up calling a stitch. Just because a stitch is centuries old doesn't mean that we remember what it was called. Anyway, there are many ways to stitch a technique. The Woven Cross Stitch I listed yesterday was over 4 canvas threads. This stitch can be almost any size. It just needs to be even-numbered area - 4x4, 4x6, 6x6, 8x8 - and there are additional rows that will need to be placed on top. Just look at the diagram closely and you can see a pattern as to the path of the stitches. Just continue on with that path until you have run out of holes. There can be an empty hole remain or you can fill them all, your choice. 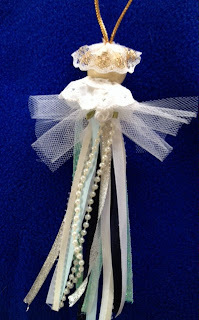 Here is a picture of my stitched sample for yesterday's posting. 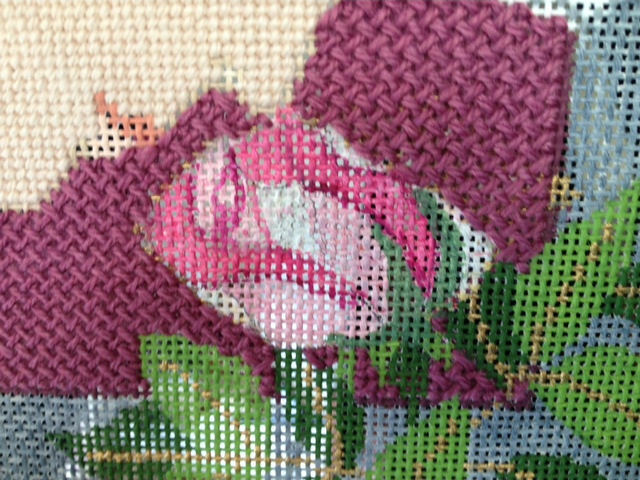 In addition to making the stitch larger, I could further embellish it by adding a bead or French knot in the center. I could 'frame' or 'box' the stitch by laying a thread between the squares such as a metallic. Over on the Yahoo Group, Marilyn has experimented to include some of these suggestions! YEAH Marilyn! On my page for my Stitch Sampler Notebook, I listed that I might consider using a finer thread if I were incorporating this into a design as the Size 5 pearl cotton is a little heavy and thick. But it really depends on what I am stitching and what results I want in the end. I have a confession to make here. I created this system for my use because I do not always know what stitch might happen to be a good background stitch, or sky, or dress for the particular project I am working on. If I already know that, then I don't need to reference my Notebook. The Notebook helps me out in times that I don't really know what particular stitch I want to use at the time - in other words a mental block (sometimes they last a really, really long time. ) Say I am looking at a cool santa and I don't know what I want his coat to be. There may be a great stitch I have listed as a major (capital bold X) bush, for instance, that I also listed as clothing and it might be just what I was looking for - advantage here is that I can see the stitch actually stitched. And, quite honestly, I enjoy just looking through the Notebook sometimes. It is amazing what we forget. Wow! I sure didn't mean to ramble on like this today. 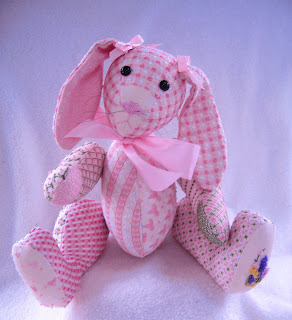 Have a great day, get over there and join the Yahoo Group (instructions listed further down in the blog postings I think April 4 maybe) and until next time, Stitch with a Smile! Carefully follow the diagram. If you can count up to 12 you have it made! The critical step of this stitch is that you weave the last stitch under a certain previous stitch. In this instance, stitch 11/12 slides under stitch 5/6. This step is what creates a completed weave. 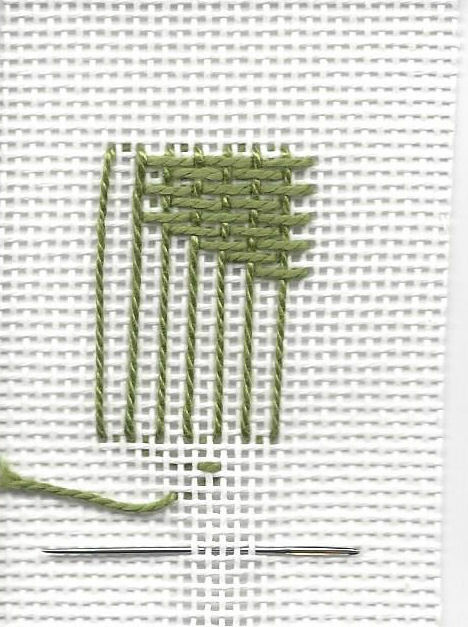 I have broken the stitch down into 3 steps: the first step is a cross stitch over 4 canvas threads; the second step lays another cross on top of that but at a slightly different angle - that being 1 canvas thread variance; and finally the third step creates yet another cross. As shown inside the red circle, the last leg of this stitch must be woven under a previous stitch. If you have difficulty getting the needle under the 5/6 stitch, try inserting the needle eye first to slide under. Viola! There you have it. See that wasn't difficult at all. Be sure to watch for the Yahoo Group posting later today. I will include a picture of my stitched sample. Please join us in sharing your sample and threads used. There is lots of room for individual albums. In case you haven't guessed by now, I'm a morning person. I was just sitting here thinking about things that I need to get focused on and I was reminded that ANG Seminar 2013 is just around the corner! Have you registered yet? Time is closing in on us. 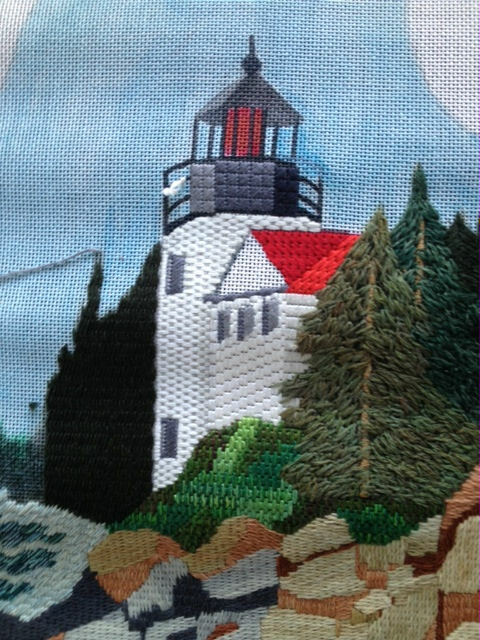 There are so many wonderful classes from which to choose and you can see them all by going to the ANG website at www.needlepoint.org and look under Seminars and select Seminar 2013. You will get a drop down menu with all the details, how to register, when deadline is, classes broken down by number of days and beautiful pictures. I have a 4-day class and a 1-day class that I would be thrilled to have you select. 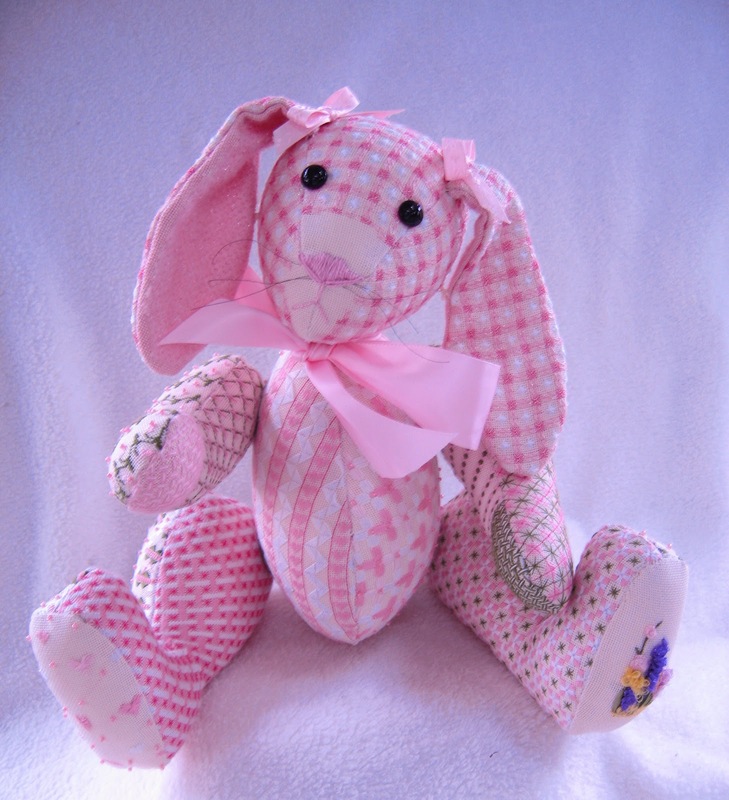 Pinkletoes is a 4-day class for the cutest bunny. I just love her and I bet you would too. 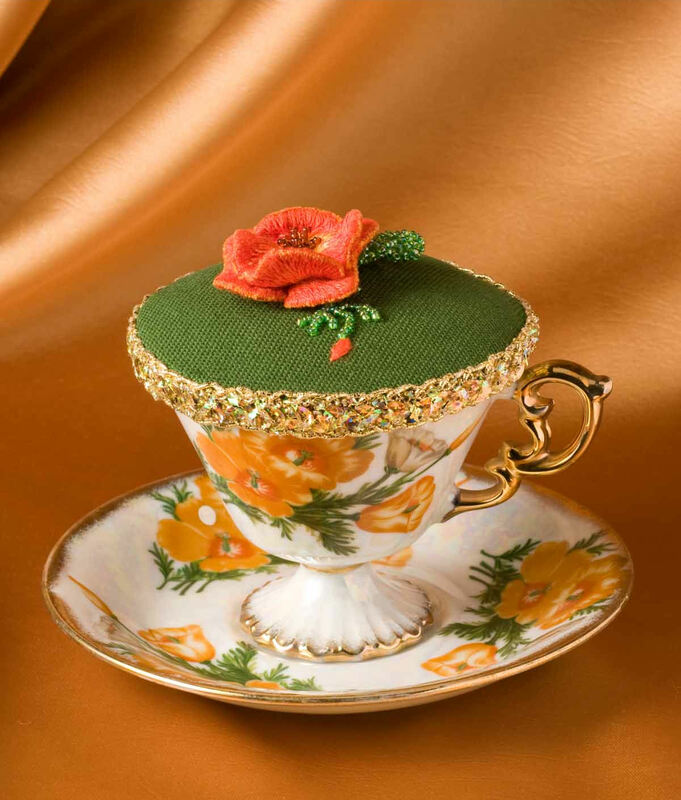 My 1-day class is in honor of California and is my version of a stump work poppy nested in a beautiful china cup. Of course you could insert it in a box top, make it a pincushion, etc. So be sure to go visit the ANG website and see all the fantastic techniques and projects that await you. Of course, there is always the great on-site shop, the bookstore (which happens to have all my Shapes of Needlepoint Series books), the not-to-be-missed exhibit, and events galore. I hope to see you there. Meanwhile, I better get back to work. Have a great day and remember to Stitch with a Smile! Gosh! It is hard to believe that it is Wednesday already. And, I'll probably say that every week - sorry. 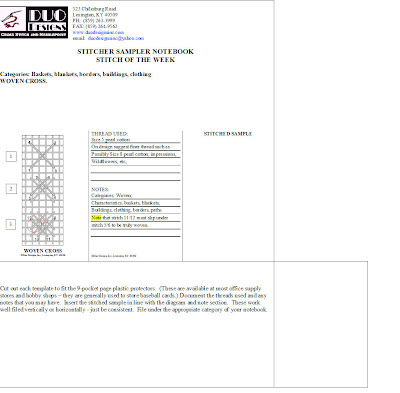 Did anyone notice last week that on my Double Brick stitch diagram that I skipped numbering one thread on the right? Obviously not. But I think it is easily figured out. This week I'm providing another fairly simply stitch entitled Encroaching Gobelin. I have also seen it referred to as Interlocking Gobelin. By the way, most stitch names are not capitalized. I just capitalize mine for this series to show what we are talking about and highlighting for the week. The Encroaching Gobelin is one of those 'call on' stitches. When it seems nothing else will work it will generally fill the bill. Notice that this is an oblique stitch. It only covers 1 thread in width and 3 threads in height in this diagram. The trick is on the second and returning rows. Notice that the stitch ends into the row above, or the last stitched row. It is not sharing a hole with any other stitch. Generally you will need to 'scooch' (is that a WV term?) over the stitch that is in place so that you can see the hole into which you are to place the needle. Make sure the stitch is always on the same side of the stitch in the previous row. Also note that while the stitches are the exact same length (3 canvas threads) the second row appears shorter as it visibly only covers 2 canvas threads since it is 'encroaching' the row above for the third canvas thread. This is an amazing stitch for backgrounds and large areas. But, I think it shines for animal fur and beards. Especially when you use a hairy thread such as a wool, Wisper, Fuzzy Stuff, etc. The stitch placement actually disappears when used in this manner. Shading? 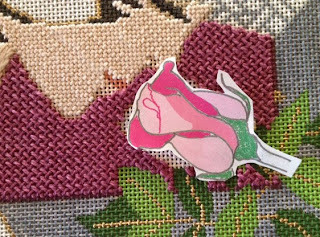 It is a great stitch to incorporate when blending colors from one value to another. This stitch allows you to sneak a little of the new color right up into the current one with a gentle change instead of a stark change of going from one color to another. Try it. Okay, your new stitch will be posted in the Yahoo Group later today. Right now, I'm going to go stitch my sample. Tuesday - the day before Wednesday Whimsies. I promised to show a little more of what I was doing for one of the chapter programs I am doing in San Bernadino, CA in June. Here are a couple of tassels that I worked on a little more. Black and orange what could that mean? A school color? Halloween maybe? I just like black and orange? 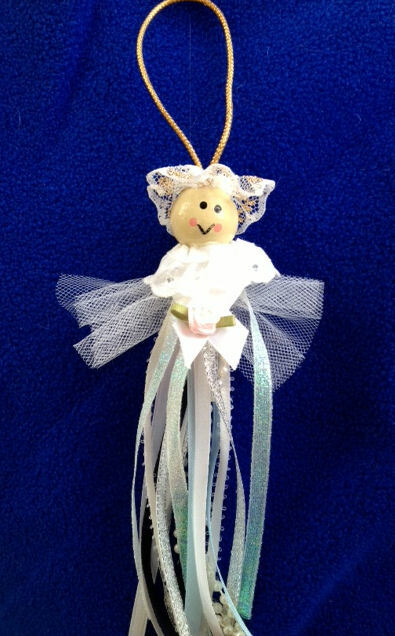 Ribbon Tassel Angel - hmmm - looks like her wings got a little crushed before photo op - wonder what she was doing? 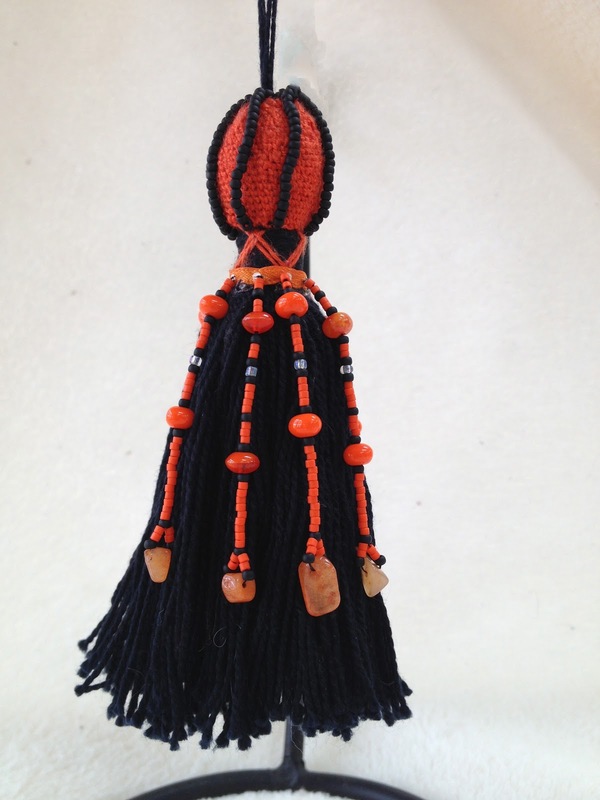 We'll have fun dressing up plain tassels with a few beads and ribbon. Nothing elaborate but something all of us can do. Good Morning! It is going to be another great, great day! Anyone like witches? While I am working on my chapter presentations for San Bernadino, CA (I'll post more info later), I was thinking of the workshop that the San Bernadino Chapter is hosting and thought some of you might be interested. They do allow ghosts. For those who do not know, ghosts is a term used for people who cannot physically attend a class but are permitted to purchase the kit, canvas, stitch guide, etc., along with the chapter, of projects that may not be available commercially. This workshop is June 26-July 1, 2013. Doesn't she just make you want to snuggle up and get close? Weellllll, maybe not. But anyway, she is all dolled up to have a great night on the town. She has curled eyelashes, lovely blushed cheeks, wonderful shiny lipstick, well trimmed warts, dangle earrings, fancy hat and a hairdo to beat all hairdos. This piece is so much fun! Look at all the dimension and fantastic threads and goodies with 'witch' we will be working (that was kinda clever wasn't it? I was trying not to end my sentence with a preposition). And, don't forget that stumpwork nose - tee hee! After all the stitching is done, we have great buttons to add to further enhance this piece. The design works well as a tote insert or applique' as well as a fun pillow for any halloween decor. It works up quickly as it is on 14ct canvas. Can you believe all that detail on 14ct? If you think you would like to participate in this adventure with us, contact Pat Corez at the chapter and she will provide you with all the details. Email her at egangcorre@aol.com. As stated above, the workshop is June 26-July 1, 2013. Hurry! It is getting close to time to send out the prestitching! Okay, I must head out and start preparing our Wednesday Whimsie posting. Wednesday will be here before we know it. I was sitting here playing with my Sample Stitches Notebook and saw a category that I did not include on my suggested list. It is tips. I will be providing some pages that are simple just plain ole tips! So you might want to consider that as a possibility. As you work through your stitches and you discover a category that just screams to you to be added, please share with the group. That's what the Yahoo! Group is for - although seems I'm the only one talking over there. Gets kinda lonely. I also want to warn you that I am not providing these stitches in any particular order. Some will be very simplistic to the seasoned stitcher but we must remember that we all had to learn at one time and it is critical that we provide a resource for our new, beginner stitchers. Also, though, I am going to be sprinkling some more complex stitches along the way and I don't want to scare anyone off who might think that this is going to be difficult. No stitch should be that difficult if broken down and taken one step at a time - cumbersome maybe, awkward maybe, challenging maybe, be attainable in the end. Being impatient, I'm afraid many of us look at the finished product and are too quick to say 'I'll never be able to do that.' What a shame. Have more confidence in yourself and give it a try. That is one of the main purposes of this exercise - to get you to see a stitch through to the end and mount it on your notebook sheet.. Also, I'm a teacher, I am here for you. If something doesn't come to you through the diagram, give me a call out and I'll break it down more verbally for you. You can do this privately if you desire. Today our younger granddaughter, Katie and our son are coming over to 'hang' out. Is that a way of saying a free meal? I'm not sure. Anyway we are always thrilled when anyone comes. We don't need to have a reason or do anything, just 'hang out.' Of course knowing my son and husband, they'll be watching golf. Lord only knows what Katie and I will get in to. She likes to take a snooze so we'll see. Her husband has some fraternity reunion game match of some type so who knows. She is a school teacher counselor for special children and their families and I know her work is stressful, so Mimaw's is a good place to 'hang out' without any pressure. I'm looking forward to the trip and know we will have fun. Well, did anyone get a chance to stitch their stitch for this week? I hope so. It only takes a very few minutes to do so. As promised yesterday, I have something more to share with you today. Here is a picture of my Double Brick Stitch section in my Notebook. I have masked off the other two sections because I don't want you to get too impatient with me. As you can see, I stitched my sample with Silk & Ivory Pumpkin. It is stitched on 18ct. canvas - I should put that in as a note on my bottom section too because before too long I may not be able to see those holes to count how many threads are to the inch! I am also showing a section of my spreadsheet. Keep in mind that this is only a section - I have several more columns on mine but if I copied it all the print would have been too small to read. I believe you can see that BKGR (backgrounds) has a capitalized X - it is also in bold but does not show up that well here, and the other applicable areas have a small x. To me, this represents that the actual sample is filed in the Backgrounds section of my Notebook.This is what works for me. Please share what works for you over in the Yahoo Group for all to consider. It's Wednesday. Here's your very first page for your new notebook. But first- delay, delay (ha.ha), I have some other things to share with you. 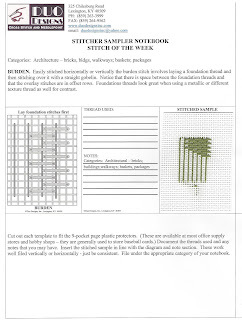 You are going to stitch all these wonderful Stitch Sample pages of stitches used for needlework. You are going to put them in a loose-leaf notebook. But wait, how are you going to find exactly where you put them? If you put them in a category, how do you remember which category you chose since many stitches fit in many categories? If you put them in alphabetically, what if you want a background stitch but you can't remember what the names of the stitches were that you prepared as samples? Here's what works for me: Spreadsheets! I prepared a spreadsheet called Stitch Sample Notebook Samples. I named each column across the top for the categories in my notebook (Backgrounds, Sky, Clothing, Bushes). Then I listed the stitch names down the far left vertical column. I would write the name of the stitch - say cross-stitch - and then I would put an 'X' in the appropriate column(s). So let's say I have cross-stitch as a background, clothing and sky. I would put an 'X' in each of the columns. However, the category where I actually filed the sample would be a capitalized X in bold. 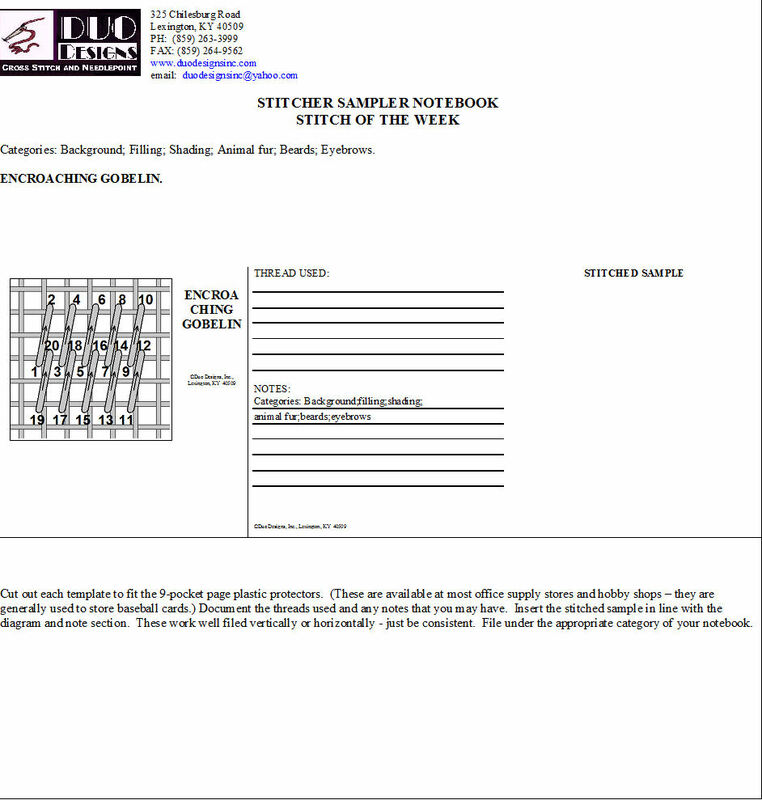 So now I know where the stitch sample is actually filed, but I also know the different categories it could represent. This way I can sort the stitches alphabetically and still know where I placed them in my notebook when I want to look at them, and still know what stitches might be appropriate for backgrounds, buildings, etc. Those of you who come up with other systems, please share with others in the group. That's the main reason I created the Yahoo Group - sharing. Different things work for people differently. I, for one, can only share what works for me - a bit of tunnel vision don't you think? Okay, so here goes! Our first page of our Notebook is going to be - drum roll please - Double Brick Stitch. Isn't he pretty? Double Brick Stitch sounds masculine don't you think? Now, as blogspot participants, you get to see this first. It will not be downloaded to the Yahoo Group until later in the day. Note, although the page is designed to be cut apart to fit the baseball card storage protectors, you may leave it intact and place in protector sheets in a notebook. One other point, the baseball card storage protectors will hold 6 stitched samples (3 on front and 3 on back) -- believe me, when you get started on this you will be surprised how quickly your notebook will begin to bulge, so that is why I opted to cut them and take up a little less space. That seems to be all I can think of right now. I'd love to hear from you and be sure to feel free to post stitched samples to the folder provided for them on the Yahoo Group. Come back tomorrow and I'll show you a picture of my stitched sample and I'll show you a picture of my spreadsheet. I will not be posting that announcement on Facebook. Many of us have small pieces of canvas laying (should that be lying?) around that we can't bare to part with, but they are really too small to do anything with. Well, the Stitch Sampler Notebook is the answer. I keep one of the pencil packets that school children use and clip it in my notebook. They already have the holes punched and ready to insert - easy, right? I then cut these scrap pieces of canvas into a size that slips easily into one of the pockets of my protector sheets I used in the notebook. Approximately 2.5" x 3.5" works for me. It doesn't matter if it is a little smaller than the slot. I keep a variety of fabric count too such as 18ct., 14ct., Congress cloth, Aida fabrics in several sizes - you get the picture. (I know it is early in the morning here but I have confidence in your ability to function at this hour.) 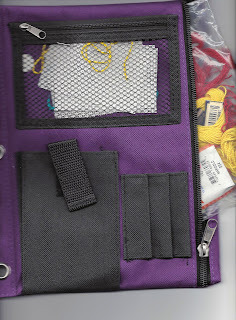 From these, I keep a small supply stored in my packet holder so they are right there when I am in the mood to test a sample stitch. 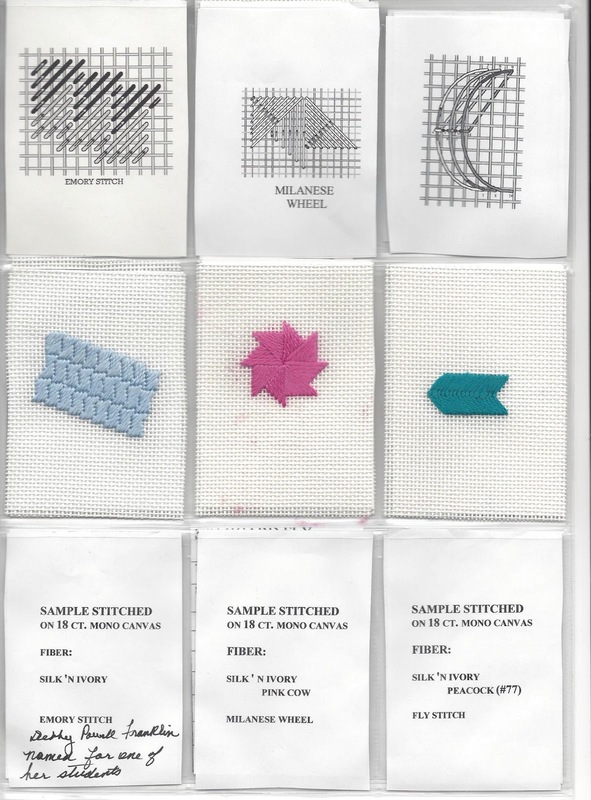 This way of testing provides the opportunity to save my work and retain my stitched sample. I also keep some odds and ends of threads in the packet (pearl cotton, floss, silk, velvet), a small pair of scissors and a needle. All tools ready to be utilized. This may seem silly to some to have scissors and a needle packed as well, but I am the type person that if I sit down to do a sample and the scissors aren't handy, I will not be of the mind to get up and go hunt a pair - so the sample does not get stitched. So, I delete my stumbling blocks before they appear. I think we are just about ready to begin creating our Stitch Sampler Notebook tomorrow. Let me know if you have any questions on anything that I might be able to clarify. 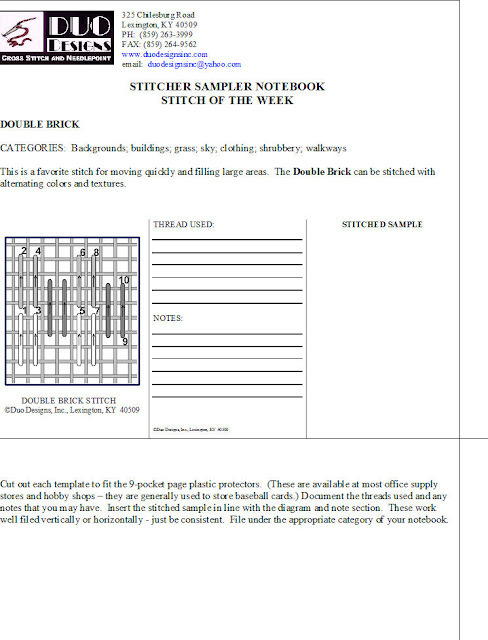 The interest in the online sampler notebook of stitches has been amazing. Keep it up folks! Today I decided to add another enticement and share a page of my actual notebook. 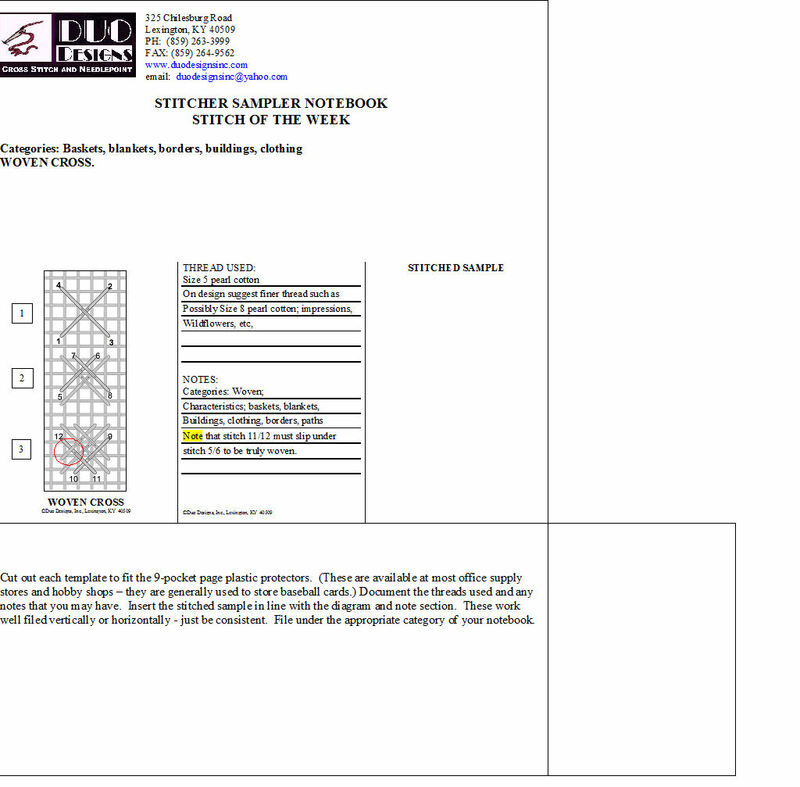 This sample was made many, many years ago but is still a viable resource. As you can see, the new page I gave out yesterday has been updated a little. I chose to display my pages in the 'baseball' card holder protector sheets. As you can see, they have 9 slots. Perfect for my diagram, stitched sample and any notes I choose to make. The samples take such a small amount of time to do and just a few quick notes on the information section and you have a wonderful example for your use for years to come. Only a couple more days until Wednesday Whimsies!